While fog is being identified as a factor, it would seem age and speed were also factors. Chiriac was an honor roll student at Ridgefield High School near Vancouver, WA. It appears a GoFundMe has been set up in his name– at time of posting, over $10,000 was raised. KATU has reported that “Neighbors concerned about fatal crashes on Mt. Scott Blvd. near where 16-year-old died“, linking these two fatalities and the head-on crash of Ronnie Bernard Davis Sr., 45, in February. Davis was driving downhill and crossed the centerline into a TriMet bus. From Google street view, Mt. Scott Blvd is striped double-yellow, no passing. The police statement says that “dense fog may have played a factor in the crash,” but they don’t mention that illegal passing was the primary cause. Seems that nowadays anyone who so much as gets a hangnail heads for gofundme. Of course, if there are those willing to fund me, why not? Electronic pan handling is all the rage these days. Indeed… I’ve become pretty skilled handling my electric pans. That is true. I also wonder if the ones for white folks get funded more than minorities who suffer the same outcomes. Not intentionally. I just notice that whenever there is a senseless death from similar circumstances, there is much more uproar, outpouring of grief and demands for change from the white community for a white victim than there is for a less white victim. Is it possible that most of us are more aware of the death and the media coverage when we have more in common with the victim? 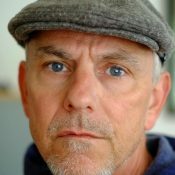 I pay much more attention to the deaths of bicyclists and people with whom I have more in common than I do for the media accounts involving hunters and skydivers, for example. I’m not saying that there isn’t a media bias, but I wouldn’t want to rely on anecdotal information or my own memory to necessarily conclude there is uproar over white deaths and a lack thereof for others. He appears to be a member of the Romanian community… which makes him a minority in Portland. Not that it is important. Being Romanian makes you a minority? Uh, yes, it does. Do you think Romanians are a majority in Portland? No, I don’t think there are loads of Romanians in Portland. It just seems like a very pointless distinction to make. By this reasoning if he was Australian we’d be calling him a minority. Canadian? British? From Maine? Grew up in Boise? At what point does it stop? All those things listed would make you a minority in Portland. They’re a little too darn loud. Yeah I do. It also became my BP name for reasons I don’t now recall. Being a Huey Lewis fan at 40 probably makes me a minority in Portland. That’s part of the silliness you get into when you start labeling people and drawing boundaries between communities, rather than looking at people as individuals. And yes, Slavs (I’m not sure if Romanians are actually Slavic, but I’ll bet the City considers them such) are considered a minority in Portland, and get special outreach, linguistic services, etc. Romanians are *not* Slavs and they are generally hostile to Slavic culture (historical conflict and slavic leninism). Very sorry for Chirac and his family, but I found myself curious about the same thing. Reading up at the link, this the fundraising appears to be for funeral expenses. People can of course do what they want, but I find it a bit incongruous to equate these two situations (can’t afford sometimes astronomic hospital bills, and the almost entirely discretionary category of funeral expenses) via a gofundme effort. Even the cheapest cremation/burial can be nontrivially expensive. Folks of limited mean will find them daunting. My mother’s complete cremation bill, along with use of chapel for two hours was less than a $1000, and that was in California. OK, we only got a cheap plastic box for her cremains, but she wouldn’t have cared. Yes, I’m with you, 9watts. Don’t feel like discussing it here, under the sad circumstances, but it’s an unwelcome trend (in my humble opine). The fact that funeral expenses are discretionary doesn’t mean they’re not important, especially in the case of a young person’s death. And even if you could reduce funeral/burial/cremation expenses to zero, there can still be significant costs–family members taking time off work, relatives traveling from out of town, etc. And obviously nobody could have planned ahead for this sudden death. All true, q. Terrible things happen in life, and it’s nice to have support. I’m just not so crazy that we’ve crossed over into hitting friends up for money for, well, pretty much anything, anymore. This (Chirac’s death) is a serious and not at all specious reason for asking for money. Yet, we never used to do it–even in dire events. We coped with life’s events and tragedies asking our friends (if we have them, if we’re lucky) for nothing more than moral support and comfort. The thing I object to is that we’ve normalized cyberbegging. I’m hit up every day for someone’s “need”–and most of the “need” doesn’t compare to the magnitude of a loss like this one. What if people people in your community were asking how they can help, and you use GoFundMe to simplify the process? I agree that it looks a bit crass from the outside, but I can see how it might not be. There is a difference between accepting help and begging, and in this case, I am not sure where the line is. I’m speaking more generally than specifically, here. As in everything, when too many people do it, it becomes a problem. And that’s what I feel has happened w/ GoFundMe and its ilk. The sheer number of people setting up GoFundMe pages now is overwhelming, at least in my circles. You can justify so many things as “good cause!” and I’m not denying this is one. It’s just…it’s just…. ghghghhghhghhhhhghhghghghghhghhghghhgghhgh. We’re truly broken if people have to resort to cyberbegging for funeral expenses, medical bills, vet bills, vacations, elective surgery, tattoos, education, paying off loans, mortgages, etc. etc. etc. Only I don’t think we really are that broken, yet. I think it’s just becoming normalized. To beg. And no, I don’t like that. rachel–I agree in general. My comments were for this specific case, where it seems like the funding request may have been set up by a friend of the family, out of a desire to help in a situation that’s difficult enough already (responding to friends’ grief) even without the extra grief involved when a child dies, and suddenly at that. (And I know you understand all that.) Plus there were a couple comments that seemed to downplay this situation (the hangnail and discretionary comments). I’m thinking of starting a GoFundMe for music income lost to the Culture of Free. Unlike Kickstarter (and very like GoFundMe! ), I will offer nothing in return. funeral expenses are not discretionary. they are a mandatory expense imposed on the lower quintiles by the “owner” class. the only reason that incinerating a body costs many thousands of dollars is because a highly profitable and predatory industry has purchased an oligopoly enforced by law. Same goes for housing, health care, etc. Don’t blame people for asking for money for things they need but can’t afford, blame neoliberalism – which values the almighty dollar over all else. Those with more get to vote with their money to ensure things stay the same way, while those with less – supposedly living in a free and democratic society – get abused by the wealthy decision-makers. It’s only going to get worse as our incoming administration seeks to strip our government for parts and sell to the highest bidder. There were other injuries in the 2 cars involved. Insurance may or may not pay for all of it. Of course both motorists will blame it on the other. That makes a certain amount of sense, though in that case I’d have thought the fund would logically be named not after the deceased but the injured. Only one car was involved. Put those facts away. The world is post-fact now. yeah. I’m an optimist that logic and reason will prevail. Not that it ever has in the past, though. Yeah… that won’t be happening. Hello, Kitty–this made me laugh-spit my coffee. 🙂 Livin’ in a post-fact world! Yeah! USA! I thought I had read in one of the news stories that the driver had been attempting a pass and missed that the road turned sharply. I definitely think that age (17) and speed as well as dense fog and unfamiliarity with the road all played parts in this tragedy. Yes, that’s correct. Sorry, I failed to include a link to the Portland Police news release. The other news outlets appear to have included it verbatim. It seems like you’ve brought this law up several times in the past in other articles–and you’re ALWAYS right. And how fitting to read it again after driving on I-5 near Tacoma at dusk today–heavy rain started so I moved to the slow lane, and literally watched cars speeding past and smashing into one another in the faster lanes, along with seeing many already pulled over after crashing. Maybe a dozen crunched cars in all in a short period. Hard to blame rain, dusk or traffic for the crashes, as nobody in the slow lane seemed to be crashing, and we had the same conditions as the other lanes. Yeah, sorry to be repetitive, but I’ll stop bringing it up when the police statements or the news stories bring it up for me. The basic speed law is just….so….basic. From the description of the story presented here, it sounds like young drivers screwing around with fatal results. yup. And no amount of infrastructure can change that. Infrastructure can’t change the mindset, but it can change the behaviors and outcomes. If road is built so it’s uncomfortable to travel at any higher speed than 20 and nigh impossible to go faster than 30, then the speeding fools will be speeding at 30mph, not 50mph. Not sure how applicable that would be at this location. Double yellow lines are one of the ways we do this, and if someone without much experience ignores this kind of marker I’m not sure it is productive to intone about infrastructure. There’s not as much to be done at this location as others, but I bet narrower lane widths (with bumpy lane lines so people actually adhere to them) and intentional curviness/chicanes along the whole length of the road would be improvements. An issue I’ve noticed with the roads on Mt Scott is that they have a tendency to mostly go straight up/downhill, except for the few occasions when they suddenly curve. Sidewalks and protected bike lanes would also do wonders, I would think, to make the road feel like the workaday suburban thoroughfare it actually is, rather than the rural highway it is designed as. Certainly, cultural change and actual enforcement are *more* applicable to this crash than infrastructure, I’d say. But in terms of things that local government authorities can do by themselves, infrastructure is really at the top of the list in my opinion, and it could definitely help at this area (although I’d personally put equally embarassing roads located in denser, poorer areas higher on my infrastructure improvement list). I think the only thing that would have prevented this tragedy would have been a driving age of 21. I wonder if it would be politically feasible to increase the driving age (probably to 18 to start) only for City of Portland residents? That’s a tolerable proxy for the portion of the metro area with OK transit coverage. I think raising the driving age statewide would quickly get killed by the suburban+rural coalition. N.B. much of East Portland’s transit coverage is not good and should be improved, I am very aware of this. I highly suspect it would not be feasible. I disagree, although that certainly would have been very likely to have worked. Cultural change could have prevented it by making the passengers, at least, protest at the driver’s recklessness (assuming the driver didn’t drive like an angel before suddenly making this poor decision – not an airtight assumption, but more likely than not, I’d say). Infrastructure change could likely have helped by making the maximum physically possible speed of the road lower, thereby potentially reducing the severity of the crash. Enforcement, especially automated enforcement, probably could have helped by getting this young driver a handful of tickets (assuming this wasn’t like his first time driving, and that he sped and drove aggressively on a regular basis before – not airtight assumptions, but more likely than not, I’d say) and a stern talking-to and a threat to take away the keys from his parents. I realize after writing this that it is written including some victim-blaming and reading more into this particular crash than we know about. Sorry! Future readers, please transpose it into a comment about motor vehicle crashes including young drivers and poor behavior in general, not one about this particular crash. I don’t assume that the driver was habitually bad; it is possible they just made one bad judgement that had very grave consequences. Nor do I assume, based at least on my own experiences, that a teenage passenger would have said or done anything to moderate the driver’s behavior. They may have even made it worse. It’s why many states (not sure about Oregon) don’t let teens drive with other teens. Well, in my experience, a good majority of drivers of any age are habitually bad (speeding/phoning/not stopping for pedestrians – not always, but most people I know who drive do these things sometimes/speed most of the time) so that’s kind of just my assumption for anyone, and having done something clearly dumb and aggressive just moves the probability up a little more. Passing on a corner in the fog is qualitatively worse than going 5 over the limit or rolling through a stop sign; it’s not just a question of degree. True… but if people were getting non-ignorable (percentage of income) fines more or less every time they went 5 mph or 10% over the speed limit from automated speed cameras littering the city, I bet that would affect behavior across the board, including these truly qualitatively crazy actions. If you’re gonna get fined substantially for speeding, that makes aggressive driving much less attractive. Once most people don’t speed or drive aggressively, that begins a culture change. If kids racing each other knew that they were going to get fined for speeding (AKA their parents would know and be pissed) that might impact their behavior to the point that there would be a good chance of at least one of the caravan drivers refusing to play the game. This is a good point, and you might be right. Another way to get to the same endpoint would be for concerned parents to get one of those driving behavior tracking devices. This has many advantages (including that you could do it today if you wanted), but has the disadvantage of not being universal. I hope this is not a serious proposal. You realize, perhaps, where this mindset leads? Hundreds of billions of $$ to modify existing roads so that people who are unfit to drive can still get home alive? This is madness in half a dozen ways, not the least of which is that autos are on their way out and even suggesting this kind of infrastructure reboot that seeks to contain the outer tails of the motor-menace in 2017 is utterly foolish. Personally, I think the auto menace is going to be with us far longer than you or I would like. I think electric vehicles are going to go nuts in the next decade, and that we as a society will try to use renewable power to continue energy consumption at the level that we have historically powered from from fossil fuels. I share your skepticism as to whether that will work, but I don’t think we as a society will give up high energy consumption until we’ve desperately tried every possible alternative. And, I don’t think that re-engineering our (urban/suburban) infrastructure has to be ridiculously expensive. I’m not talking huge concrete pours for the chicanes and bike lane protection, I’m talking sand-filled Jersey-esque barriers, planters, etc. I’m really not sure what to do about our many thousands of miles of rural highways which I think *would* be ruinously expensive to retrofit for safety and comfort for all modes, unfortunately. Also, given recent trends (*cough* elections) I think there’s a high probability that at least the U.S. will not even try to reduce fossil fuel burning in the next 4-8 years, and a small percentage, but terrifying, possibility that the Trump administration will manage to completely derail the global process of inching towards reductions in carbon emissions. There’s what we feel like doing, and there are external constraints that will dictate what we can do. You’re talking about the former; I’m talking about the latter. speed tables, raised crosswalks, road narrowing and/or other traffic calming features could have made this collision survivable. the russian roulette of traffic carnage is an expensive societal choice. Guardrails and perhaps jersey barriers on the center. Maybe some lone red lights with cameras to enforce the posted speed. Of course Jersey Barriers sound so easy, until you think about the idea that people need to turn left, in-street obstacles need special design, they block pedestrians, they force drivers to pass cyclists more closely, etc. Not sold. How is this a problem with the infrastructure? Seems to be all driver error here. No, blame it on the weather. Act of God, can’t be helped. Sorry, that was sarcasm. I just hate how the police statement mentions that the fog may have been a factor, which subtly implies that it wasn’t entirely the driver’s fault. The police spokesperson mentions that the driver was attempting to pass one of the other cars in their caravan, but totally misses the opportunity to mention that the area where the crash occurred is a no-passing zone. Fog certainly could have played a role. That doesn’t absolve the driver, but it seems reasonable that fog would make driving more dangerous, especially with a less-experienced driver. Should the police report have omitted environmental factors? They should have omitted the weather conditions if they’re also going to omit the other factors that played an even larger role in the crash. It just totally reads like they’re doing their best to exonerate the driver. Oops, fog! We’ll find out what other factors they cite when they release their report. It’s foggy and dark, the roads are wet, I’m coming down a steep hill with tight corners and there’s a double yellow line on the road. I think I’ll speed up and pass the car in front of me! I’m sure that’s exactly what the driver was thinking as they carefully weighed all the factors in the equation when determining exactly how much force to apply to the gas pedal. Or maybe it was a driver with very little experience who didn’t account for any of those factors, and was only focused on the excitement of getting ahead of their friend. Exactly the kind of person I don’t want operating a motor vehicle. Now, how can we get them screened out before we let them drive? If 16-year-olds were running around in the fog with chainsaws to impress their friends and killing people (oops! sorry! ), wouldn’t we do something about it? I don’t disagree; I think the driving age should be increased. I don’t think increasing the driving age would help much. Experience and maturity are the things that make for a better driver. Keep upping the age and it just takes longer for a person to gain experience. Also, age is no guarantee of maturity one direction or the other (though, yeah, generally speaking assumptions can be made). What I’d like to see is more time spent with a limited provisional license — no matter the age — where one cannot drive without a driver with x years driving experience also in the car before you can get a full-fledged license. That’s a common concern, John. Vision Zero (and other efforts) try to give drivers less latitude to make these errors. The classic example is how speeding is enabled on streets that are very wide with few visual markers. Aside from “do a public safety campaign!” (like PBOT is doing in Outer Division) or enforcement, there are certainly things that would help. PBOT’s Vision Zero summary has a section titled “Street Design Actions to Lower Speeds” (and one called “ACTIONS TO ADDRESS DANGEROUS BEHAVIORS”). One thing missing from that list is provisional/graduated driver licensing- restricting passengers and night driving privileges. I don’t know how that’s worked out for real-world effectiveness. I visit friends up there regularly. Drivers routinely speed down that hill, completely ignoring the possibility of cross traffic, ice and wildlife. We don’t teach young drivers to account for the unexpected, and then we are surprised we they die from it…? We do teach them, but, being kids, lessons about caution don’t always stick. Do we? The vast majority of adult drivers constantly break the law when driving. What are they teaching their kids? About fifteen years ago I read a thoroughly depressing article in NewScientist whose thesis was that by age twelve the majority of people had already established what would be their driving habits. The sad part was that these future habits would be based on emulating their same gender parent. Sure, when our youngsters are fifteen or so we start formally teaching them to drive, but we’re already too late. Humans are really good at “monkey see, monkey do”, even better than monkeys, apparently. The driving behaviors my cousin demonstrated while showing me around his town were definitely not learned from his parents. They were the type of pure idiocy that only an adolescent can conjure. Some of the things I did when I first started driving definitely did not come from my parents either; they are very conservative and safe drivers. That’s my point. We start teaching our kids to drive when they are two and they hear dad swear at every person (insert favorite epithet here) who goes too slow and see mom gun it to get through that almost, not quite red light and on and on…. By the time a child gets to driving age he or she already “knows” how to think about driving. No amount of counter-education will effect much of a change in attitude. First words my daughter ever said from her car seat in the back when she was only 1 or 2 were when I had to hit the brakes to avoid someone cutting in front of us, and she said, “Was that an idiot?” Clearly learned from when her mother was driving. I started out as a slow & cautious driver (following the driver manual I had read) but my mom coached that out of me, telling me that I should be driving 10mph over the limit because that’s what the police allow, and to be more aggressive about changing lanes so that I wouldn’t miss my turn. Took me quite a while to unlearn those habits. My siblings all think I drive like a grandma now. They probably aren’t teaching their kids to pass their friends on a solid yellow in the fog. Most people would never do that, despite what you read here. Yes, but if a child sees putatively responsible adults speeding at all possible times, passing aggressively, never stopping for pedestrians, even in marked crosswalks, talking and playing on electronic devices while driving, etc. etc., I could certainly see how that would move the window of what an irresponsible adolescent might do further towards (even more) destructive and horrible behavior like passing in a double-yellow-line area. Or, more likely, the idea of “hey it would be fun to pass my friends!” entered the driver’s head and logic and caution never had a chance. Since we have no information whatsoever on the parents driving habits, I don’t feel comfortable blaming them for this awful situation. What we do know is that the brains of people in the driver’s age group tend towards risk taking and impulsivity. Certainly. Not intending to talk about this particular crash. But bad behavior is endemic among adults driving in the U.S. I think it’s on its face ridiculous to think that that has no impact on the incidence of bad behavior of adolescents driving in the US. Perhaps, but we also need to recognize that (many, not all) drivers of a certain age are just plain nuts and it is dangerous to draw too many conclusions about the wider society from their behavior. Outside of the specific parents, we live in a society where hooning around irresponsibly is a fixture of car ads and pop culture, and where everyone knows they can do it without having to worry much about the consequences. Even if they cause a collision it’ll usually be laughed off — unless they were drinking. While some impulsive young people still drink and drive some will stop short of that — we’ve done a better job of associating that action with its consequences than we have in the case of speeding around in bad weather. There’s a Dodge TV ad in current rotation with the tagline, “When it rains, it roars.” That’s just one specific ad (where they’re speeding around a city in the rain), but you can’t watch TV for long without seeing an ad that shows driving that would be irresponsible outside of a closed course, or that portrays driving as some sort of arcade game. That’s part of our driving culture, it’s what we’re teaching people is an acceptable attitude toward risk on public roads. It rarely goes contradicted outside of a few billboard ads — parents don’t contradict it when it’s shown, other TV/video ads don’t contradict it, programming doesn’t contradict it. This sort of thing could be a reasonable subject for Vision Zero, as part of our driving culture, but I’m guessing any sort of regulation addressing content directly would have to be at the national level. As a side note, the ads I don’t like are the ones that show extremely distracted drivers, e.g., bee in the car, being saved by having their car’s “pedestrian detection” system hit the brakes for them before they plow into someone crossing the street. In all the ad examples, the car is only going about 3-5 mph; I wonder what such a car would do when a driver is going 35 through a residential district while texting and not watching crosswalks. Driver not paying attention to the road and is about to have a head-on collision with an oncoming car. But then she looks up, swerves off the road and crashes relatively harmlessly into a shallow pond. Oopsie! Good thing she has Allstate with New Car Replacement! Are collisions of the type this one exemplifies, raising the question of simply bad driving, or instead, unintentional errors people make in driving? Question: is Mt Scott Blvd’s street design, of a type that would contribute to the occurrence of collisions by people making not extraordinary driving errors, but otherwise competently and responsibly driving? Some people reading here undoubtedly are personally familiar with Mt Scott Blvd’s design, and how it works in actual use. I know of the street just from what I’ve read about it in the news. I’m wondering just what ideas for redesigning this road, some people may have in mind as efforts to try reduce the rate of collisions occurring on the street. I think to suggest that for example, wide, multi-lane in each direction streets affording good visibility, enables people to make errors while driving, isn’t accurately terming the problem of the type of collision this one involving Chiriac and Pop exemplifies. By the brief description of the collision in this story, it’s cause appears to be…bad driving, careless, maybe reckless, and definitely not due to a common error occurring with otherwise competent, responsible driving. By the way…b carfree…the article to which you provided the link looks interesting, what I could see of it without meeting access requirements; they want money. Maybe you could just mention what cities in the U.S. might be using graduated licensing laws. …thanks. I wonder how people will feel when the vast majority of funding goes to makes roads safer and takes away from cycling infrastructure. Welp, fortunately, protected cycling infrastructure is one of the top ways to make roads in cities safer for all users, so we don’t have to deal with that false choice. It still takes money. And even more money to make protected bike facilities. Which means less things getting built because there is not an unlimited supply of money. 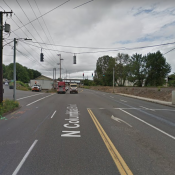 the buffered bike lanes on holgate cost tens of thousands of dollars and exceeded all expectations in reducing speeding and serious injury accidents. Has the city released their data on the before and after stats? Thankfully they aren’t mutually exclusive. Safe roads are infrastructure. The best cycling “infrastructure” we do here are the Greenways, which are basically just safe streets. greenways intentionally funnel people biking away from the commercial and shopping areas that are typically our destinations. and there are improvements that could mitigate this. 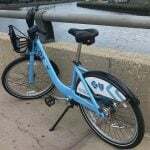 I use greenways to get across town or to go around town. Since I have a bike and can ride a block or so to get to a store. How hard is it? I am a heavy greenway user too, and personally find it tolerable, but far less convenient than the experience I have driving around. Driving around, I can just think, “Oh, store X, as I recall, that’s somewhere between 20th and 40th on Broadway, I’ll toodle down there and stop when I see it.” Biking around, I have to look up every last destination if I haven’t memorized its exact cross streets. Driving around, I habitually see new businesses, and those that have closed or moved. Biking around, I do not get this information. Driving around, the streets I want to use to go longer distances are clearly labeled and have smoother pavement than the average Portland street. Biking around, the greenways are not clearly labeled in most cases, follow circuitous routes, and have worse pavement than the average Portland street. I am good at mental geography so have most of the useful greenways mapped in my head. My husband is bad at mental geography so gets lost whenever he tries to bike anywhere. He does just fine driving. There is a huge difference in usability between the greenway network for biking and the major-street network for driving. I still have to eventually ride on Division if my destination is on Division. Or If I am at a business on Hawthorne and want to ride to a business one block away, I’d have to ride the two blocks up to Salmon, one block over, then the two blocks back to Hawthorne. Still way faster than a car. If you think “tooling” around is fast, then you are driving too fast. I can ride on Greenways these days, take my detours and still do that way faster than a car…. I also ride a few blocks out of my way to get on Greenways just because I think they are so fast and convenient. imo, greenways work well for commuting and recreation but not so much for the (shorter) utilitarian trips that make up the majority of trips in cities with high mode share. You know what’s even faster though? Riding on Division or Hawthorne, rather than riding four blocks out of the way. Sorry, but biking is not way faster than a car for me. I have two young children and the loading/unloading process is longer for a bike (legal helmet requirement, more clothes needed, etc. etc.). I live near 100th & Foster, and generally my trips are 60 blocks or more. A lot of the time, I drive on Foster (which is diagonal) and I am not willing to bike on Foster except for short distances – so my distance traveled ends up shorter by car. Despite having an electric bike, my experience is that I almost always get to destinations faster by car. 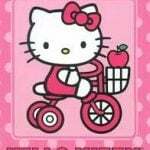 I opt for the bike anyway much of the time because it is more fun and healthier for me and models behavior that I want to instill in my children, but I just wanted to correct your assumption that your experience of getting places faster by bike holds true for everyone. I would guess that the opposite holds true for the majority of Portlanders, the majority of the time. In fact, I can’t think of a single trip that is faster by electric cargo bike than by car for me. Loading/unloading/locking up takes a few minutes longer by bike, so for short trips where the time travelling is similar, the car wins. For longer trips on city streets, it’s not so different, but the car can take more convenient routes with shorter waits at major streets, so the car wins. For longer trips where the car can get me on interstates, the car definitely wins. It’s about 45 minutes for me to get to Hollywood by bike and about 20 by car. Inner Portland is not all of Portland. Most of Portland has very convenient car parking and little congestion at most times, and much of it has bad bike parking and bad bike infrastructure. One time, when it was rush hour and the freeway was unusually clogged and I could take the (fast, with few stops section therein) I-205 path the whole way, I beat my husband home by bike when he was coming by car. Once I beat him. By one minute. Usually he beats me by 5-20 minutes from most locations. Unless we get to the ulimate logical conclusion and make the roads safer by getting all of the cars off of them. How would we replace the mobility currently provided by cars? Or are you going to prove Ivan Illich correct, after all these years? Yes, that solution might work. Cars provide things that no other current transportation technology does — (relatively) rapid point-to-point transport, protection from the weather, passenger and cargo carrying capacity, etc. I do not believe that cars are the best transportation system there could be, but they are the best we’ve got. Yes, there are clear drawbacks and failure points, and in some places we are hitting some of the inherent limits of the service they can provide, but there is no other currently available technology that can replace them within any reasonable cost parameters. This will undoubtedly change, and we are now able to see what will come next, but biking, while great for some (like me) is not viable for everyone, or even most people in most circumstances. And really, I hate driving, and rarely do it. But there is a reason why most other people do choose to drive, even in circumstances I would regard as ridiculous. How would you propose to measure this? Even without a measure I find this absurd. I am going to assume that you have drawn a line, even if not a straight one, from the first bit I quoted from your answer above to this second bit. This I think is where the logical flaw in your argument lives. Everyone does it, ergo it is the best we’ve got. This is taking a retroactive and quite partial view of transportation that Ivan Illich rejects and which I reject. Here’s why: We know the thousand and one reasons why many people who would rather not still find themselves in a car. This is hardly just because harnessing ancient sunshine and putting it in our tank is an unparalleled way to harness the energy slaves of prehistory, but also because our priorities in this country (and many others too) have favored transportation means that yield unbelievable profits. Neither of these reasons are useful measures of what makes sense now much less into the future, and no amount of Panglossian assertiveness will obscure the myopia of the automobile. Millions of people also smoke and drink and eat unhealthy ‘food,’ and gamble and drive drunk; do those statistics suggest to you that these activities are also the best we have? We are able to evaluate our preferences, critique them, realize that we may prefer to prefer something other than what the market reveals about our preferences. When making a statement about ‘the best we’ve got’ you need to I think take a longer view, a more comprehensive look across space and time and ask who the beneficiaries and losers are. In her writing, Catherine Lutz talks about the compulsions poor people experience in this country to join the automobilized, even as doing so wreaks havoc with their finances and does very little for their mobility, so understood. All of this Ivan Illich predicted. Have you read any of his writing on this subject? It doesn’t matter what you or I think. Tens of thousands of people around Portland evaluate their options every day, then reveal their decision. They’re telling us what their best options are. That you or I might disagree matters not one wit. Except it is nothing like that. Habit is an unrelenting taskmaster. I highly doubt that people approach their transportational options every day anew in the manner you suggest. Instead they/we have their/our routines, and in our country almost all the cues favor the auto. This has very little to do with what we might glibly call preferences, and everything to do with lopsided historical, institutional priorities and policies and subsidies. What their use of the car is telling us is what comes naturally given a lifetime (many generations in fact) of habituation to the auto-as-default. Most have zero experience with what it is like to use a bike regularly for transportation, and what’s more few of their friends do either. Breaking out of this (which of course many in Portland have done over the past few decades) is quite different than what economists mean when they toss out preferences or revealed preferences. Mt. Scott at that point is quite steep, narrow, with minimal shoulders and not-great lighting. In the fog, I would call it treacherous. Of course others might hold an equally meritous yet different view. Agreed, I grew up on Mt. Scott and for a time lived right off this stretch of road. It is all those things and in fogs needs to be driven with extreme care. I think most people that live in the area know that, but I suspect these kids didn’t know the roadway very well, particularly since the crash happened when the driver ‘missed that the turn in the road’ and since the deceased is from Washington. Better lighting could help up there at night, but wouldn’t do much in fog. I can’t imagine crossing into a oncoming lane on that road for any reason given the steep, curvy nature of the road- but then again I was never a teenage boy so it’s hard to get in that mindset. It’s a tragedy but I do think the only real fix for this particular roadway is for people to follow the rules of the road. Larger shoulders would help with some other issues up there, but wouldn’t have mattered in this scenario. A majority of neighbors KATU crews spoke to say speed is the biggest issue. Gallup says some people drive up and down the hill at 50 mph, even though the posted speed is 35. “The speed limit needs to be lowered, absolutely, at least on that corner to 25,” said Gwen Rowe. speed tables and/or other traffic calming devices could have prevented this fatality (and others). in general, people in the usa drive too fast and too aggressively. and while infrastructure is not the only potential mitigating factor, our infrastructure certainly enables and/or encourages dangerous speeding and passing. 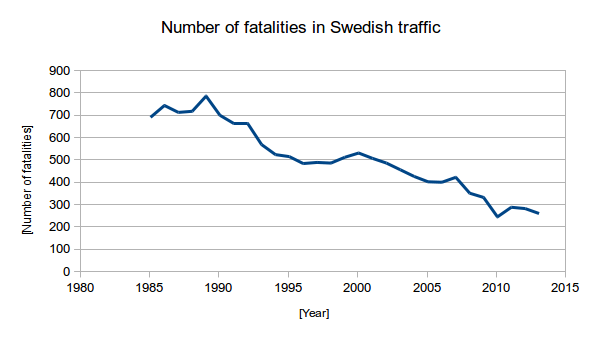 the impetus for vision zero was the observation that traffic fatalities in sweden plummeted when they switched from driving on the left-hand side to the right. research into the underlying causes of this sharp drop in fatalities gave birth to the idea that smart roadway design can mitigate many, if not, most human “mistakes”. and while i realize that many car-centric USAnians find the idea of roadway design that emphasizes preservation of health/life to be *unacceptably inconvenient*, design can, indeed, reduce the kind of carnage that occurs on mt. scott with some regularity. PS: imo, the ideology that individuals are mostly (or largely) responsible for negative outcomes is at the root of many of the most pathological aspects of USAnian society — including our transportation system. That’s interesting if you take that view (which makes sense if you give it some thought) and combine it with the fact (I think) that the US has made more progress in discouraging drunk driving than other types of dangerous driving. It seems that progress against drunk driving has coincided with people coming to believe that driving drunk isn’t the result purely of a moral failing, but as an aspect of an illness/addiction. Maybe that’s not coincidental. Could coming to view drinking as something more complicated than a moral failing helped lead to more effective methods of reducing drunk driving? Punishment and shaming has certainly been central in the anti-drinking-while-driving campaign, but not 100% of it. Think of being overweight. Taking the approach that people are fat because they’re too weak to avoid temptation has been a total failure, although after decades of that misguided approach many people STILL view it that way. But it seems that newer approaches that de-emphasize shaming people into weighing less (and that rethink whether weighing less is even important) are more promising. What if speeding, texting, aggressive driving were viewed as having causes more complicated than people being selfish jerks? Would better solutions be found to reduce those behaviors and their impacts? I would assign 100% of the responsibility for this accident on the actions of the driver, given what we know about conditions, etc. Had he driven reasonably, there would not have been a problem. We cannot afford to make roads safe for people who cannot control themselves. But the “people who cannot control themselves” are killing other people. Even in this case, the victim wasn’t the driver. And he easily could have been someone in the opposite lane who just happened to be in the wrong place at the wrong time. What you say is all true but does not change the fact that the driver in this case is 100% responsible for the outcome. My comments were aimed mainly at your “We cannot afford to make roads safe for people who cannot control themselves”, because it misses the whole fact that those people are making roads less safe for everyone else, so that’s great you agree they’re all true. And I suppose you can say the driver was “100% responsible for the outcome”, just as you can say the same of the outcomes of alcohol or drug abusers, who also can end up killing themselves. It doesn’t mean society shouldn’t try to help them, or worse, that it should take your view that “We will always need some way to cull the stupid people out and keep the gene pool safe”. But a better comparison might be thieves or rapists, since the drivers “who cannot control themselves” are as likely to hurt others as they are themselves. We don’t just say those criminals are “100% responsible for the outcome” without doing all kinds of other things–that are often costly and inconvenient to everyone else–to minimize the harm they do to others. Oops, just noticed the “gene pool” comment was made by somebody else. Is Mt Scott in Portland, or Happy Valley? Whose jurisdiction does it fall under? It’s unincorporated Portland, I believe… Used to live out there, many years ago, and it seemed it was a bit of no man’s land, jurisdictionally speaking. I guess we could copy Sweden and put a cable between the lanes on two-lane roadways. While that would stop these foolish pass-and-crash and head-on collisions, it would also mean that we would either have to add a lot of shoulder width, and keep it clear, or effectively lose our ability to ride bikes on these roads. I can’t say I’m in favor of that. Maybe just put the median barrier in on curves, and put up a sign at the start of each median-barrier section saying something like “ABSOLUTELY NO PASSING BIKES HERE”, and a sign at the end saying “PASS WITH CARE” (as in the standard end of a no-passing zone). And when the first person dies from hitting the end of the median barrier we give their family a 10 million payout and rip them back out. vision zero does not seek to minimize collisions, only to make them more survivable. thus, speed reduction is almost always a priority when it comes to vision zero-based roadway re-design. essentially, in sweden, the need of one victim of traffic violence outweighs the convenience of many thousands of drivers. Driving up 112nd up Mt. Scott, anecdotally I have been passed many, many times, particularly uphill across the double yellow line. Some people who live out there drive like maniacs. Double line passing has sure become a ‘thing’ lately. Of course it has happened in the past, but over in Bend, it is just amazing. Riding my bike over the past year, I have seen 5 or 6 cars coming straight at me, passing over a double yellow, on 55 mph rural roads with no shoulder. And, there are always passing zones within a mile. I used to flip them off, buy then realized that one minor ‘adjustment’ of their steering wheel and I would be a goner. Just nutz. Even with a dashed line on those roads, drivers shouldn’t pass in the oncoming lane when there is a cyclist approaching from the opposite direction. Safe passing law. I think that makes you a minority everywhere in the world. Bicyclist got killed there, neighbors were not worried. Now a person in a car has been killed there, and suddenly the neighbors are concerned. I can’t possibly be the only person who noticed this disparity. Note: I’m not making light of the tragedies here. It’s terrible about the cyclist, and terrible about the teenager who was killed while riding in a car. Person on a bicycle was killed by another person driving a car irresponsibly here. Person driving a car recklessly killed himself here. Community doesn’t become concerned until a reckless driver kills himself. The driver, Seba Pop, is in critical condition, with a gofundme page (https://www.gofundme.com/seba-pops-medical-expenses). His passenger Samuel Chiriac was killed. There were 3 other passengers in the car. Caleb Pop (Seba’s brother) and Timothy Posteucha have serious injuries. Johnny Cristurean was also in the car but was not injured. I do agree that both deaths resulted (at least in part) from driving too fast for conditions and without concern for human life. My point was that area residents did not seem to view the death of a cyclist as a problem, only becoming concerned when someone in a car was killed. It sounds like a continuation of the usual blame-the-cyclist mindset. I’m agreeing with you and was just trying to more succinctly point out the irony of it all. The compounded irony to me is that in both cases it was the operator of the motor vehicle driving irresponsibly. But it wasn’t until someone *in* a car died that it mattered. Could it possibly be connected to the fact that the person killed in this case was so young? Do you think that if he had been riding a bike, no one would have cared? Mt Scott and 112th need to be just a 4 way stop with a speed hump leading to it from both directions on Mt Scott. Add speed humps leading to the 103rd curves from both directions. This is a good proposal, and a lot more short-term and affordable than my ideas about chicanes, sidewalks, and protected bike lanes. Even more speed humps wouldn’t be a bad thing. I bet “but emergency response!” is the reason why they haven’t done this yet, and would be a significant impediment to doing it in the future. We really need some flipping research comparing the health/safety benefit of X seconds of emergency response delay to the health/safety benefit of calmer streets. I suspect that in more cases than the City currently allows it, traffic calming would have a net positive health benefit. ..or just send appropriately sized vehicles to emergencies? Speed tables and bumps have been researched. Portland and Austin, among others, have studied delay. Speed bumps and tables delay fire trucks 9-11 seconds per bump on flat roads. Speed cushions are estimated to delay them 2 seconds per location. Because PF&R uses a two person ambulance, and OSHA requres four persons at a medical emergency (75-80% of first responses), a fire truck has to respond to every call. It is likely someone in Britain has studied the exact trade-offs you are looking for. That would be really cool! I’m interested in such research. I really have no idea how much 9-11 seconds per speed hump on every emergency call is worth in health/safety vs. the health/safety benefits from having streets that encourage/require people to drive more safely. It probably depends on a lot of factors, like how large (if any) an increase in walking/transit that you would estimate you’d get from an increase in the perceived safety of a given street segment, and the number of emergency calls routed down a street segment annually. Thanks!! 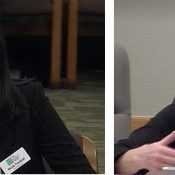 I wonder if having PBOT and PF&R both under Saltzman is an opportunity for a data-based inquiry into whether re-negotiating the emergency response route pact would have net benefits for the city. Just curious, have four-staff-person ambulances been considered? It seems like that might have real benefits given the response-call profile that PF&R deals with…. Or how about sending out two ambulances rather than an ambulance and a truck? The irony that some of those first responses are needed because people wreck on roads that they drive too fast on is not lost on me here. the ubiquitous use of speed tables, speed bumps, refuge islands, single lane chicanes, roadway narrowing, vehicle-activated signs etc is one of the reasons the UK has the 2nd lowest traffic fatality rate per miles driven in europe (it was #1 for many years but Sweden’s rate continues to plummet). Watching on bike camera videos of riding in London seems insane to me. People would be killed daily filtering past buses and trucks and just generally mixing with traffic on such busy roads. Imagine dozens of cyclists just filtering through and riding in the middle of traffic on MLK or Sandy during rush hour… That they manage not to constantly get run over I think tells about driving culture as well as infrastructure. cycling infrastructure in london is horrible but this is changing rapidly. Yes, but in my very limited knowledge it seems that roads are designed such that drivers expect to be close to other road users. Roads seem to be narrow and space a premium… Thus drivers are aware of other being close to them. Many US drivers I think would be very uncomfortable in such confined spaces with larger and smaller users so close. Perhaps this has ingrained a bit more subconscious teamwork between different road users. Yes, and it should be set at a higher age for men than for women–say, let women drive at 18, men at 25. I’d call driving age a place where there are sound and solid reasons for gender discrimination! I think we would solve all the problems if we raised the driving age to 105 or so. Do kids have to take Drivers Education in school? It should be required. This was not “traffic violence”. It was a tragic accident caused by an inexperienced driver who was probably goofing off. Happens every day somewhere. 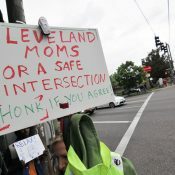 NOT an accident–the inevitable result of letting hormonally soaked children drive powerful machines, and designing communities (one of the boys lived in Battle Ground) that isolate families and darn near handcuff people to a car to do even the most trivial errand. The older I get the more deeply grateful I become to my parents for raising me in a big city with good transit and miles of sidewalks. “Accident” implies an unintended outcome, which, in this case, certainly fits. *Based on a Newtonian understanding of the universe. Quantum physics not included. Actual mass may vary. Offer void where prohibited by physical law. Or, in this case, both. Violence, def. 3: ” intense, turbulent, or furious and often destructive action or force.” I would say that this counts as violence under that definition. I believe you’re thinking about definition 1: “exertion of physical force so as to injure or abuse” which implies intent. It would be also correct to talk about “tornado violence”, “shark violence”, and, if you watched TV in the 1970s, “killer bee violence”. Killer bee, shark, and tornado attacks are all violent acts, but “violence” seems to connote a degree of intentionality that is not present in cases such as this. Likewise, “gun violence” would not apply to a hunting accident (there’s that word again), but would apply to a targeted shooting. My verdict is “technically correct” but “semantically wrong”. I think you’re right. When I wrote my comment, something felt wrong but I couldn’t put my finger on it. I think what def. 3 misses is that when the word is used that way, it generally takes the form of “the violence of X” – “The violence of the storm” “the violence of the shark attack” and “the violence of the car crash” all sound like generally accepted usage to my ear but “traffic violence” sounds off (except in intentional cases like that crazy murder by car by the white supremacist in Gresham). The kind of violent death this blog post describes is *mostly* the result of intentional societal choices. Your flippant and dismissive response is truly awful. I mostly agree, except that I don’t believe the choices were “intentional”. Instead I would argue they were incrementally evolved; many of these steps might have been themselves intentional, but the overall outcome was not forseeable or deliberately chosen at the outset, just as today we can’t see how our decisions will impact the transportation system 50 years hence. OK, so this is a terrible thread to leave up for days at a time as ‘new content’. It’s mostly tangential and contains a lot of editorializing disguised as journalism. As long as they are available, teens and young adults will do stupid things with motor vehicles. End of story. people do stupid things all the time. we need a transportation system that allows people to do stupid things and survive. Never gonna happen unless every road is arrow-straight and all cars have a couple feet of bubble wrap around them. Anyway, we will always need some way to cull the stupid people out and keep the gene pool safe. That’s callous. Plus, the “stupid people” are killing innocent people as well–or instead of–themselves. Good luck with what? Creating “a transportation system that allows people to do stupid things and survive” that soren mentioned? It’s certainly possible. There aren’t many commonplace things besides driving where the result of a brief episode of stupidity is death. When you get in a car for a joy ride with a bunch of your teenage friends, you are not ‘innocent’, whether you are the driver or not. I wasn’t thinking only of this one case, but of the many where innocent people are killed. And in this case, they were on their way home from an event. There’s no proof it was a “joyride”. Plus, even assuming the victim was not innocent, and was stupid, dying is an awfully severe penalty to pay. You can keep building in more safeguards, but as long as people keep eschewing the safeguards with speed and reckless choices, people are going to keep dying. And 2015 continued this trend. Society will always provide a greater idiot for your idiot-proof systems. so your argument is that USAnians are inherently more idiotic the people in the UK? Well then, how about at least an open thread on how well/fast (or not) PBOT is cleaning the gravel out of your bike lane after the last storm? Horrible on Christmas Day on Terwilliger parkway bike lanes. Awful. IIRC, the nearby Willamette National Cemetery doesn’t allow people to go jogging there. Sad.